Many of us use email in our marketing campaigns, but not all of us are seeing the returns from the effort we'd like. Not everything (or maybe even much) of email marketing is intuitive. Need a hand? Take a look below at our top 5 email marketing tips and see your success skyrocket! It's very, very important to understand email is not print advertising. Most people who receive your emails will not see your images. This means you are not only wasting time and energy designing images for your email marketing campaign but if these images are vital to your message this will be totally lost to a great many of the people receiving it. This is a very bad idea obviously. It's much better to focus your creative energy on great ad copy than on images that will likely go unseen, isn't it? The whole point of your email marketing campaign is to have your targets click through to your landing page, sales page or web page right? The best way to do this within your email is to include your link at every point you think your potential customer could be inspired to click through. In this case more is definitely better! One link per paragraph is a good guideline as well as, of course, at the very end of your email message as well. One of our essential goals is to avoid having our email marketing campaigns labeled as spam. Make it easy for even the dimmest light bulb in the hallway to unsubscribe from your list and you'll be grateful later. When people have difficulty unsubscribing they will mark your message as spam, adding strikes against your sender reputation. You want unsubscribing as uncomplicated and upfront as possible. The truth is most of your recipients are only going to scan your message for highlights that catch their eye. Bullet points and very short paragraphs work to your advantage as does bold text to highlight points and varying your font colour. Keep your messages very short and if in doubt make them shorter. The idea is to get sales, not send out books that no one will read anyway. Between messages remove undeliverable addresses, full in boxes and others that bounce back to you. 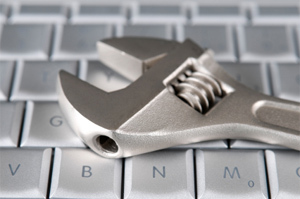 This is not optional, but required if you want your email marketing campaign to succeed. Otherwise you'll be working with bad data as far as keeping track of responses to your campaign and greatly increase your chances of being labeled a spammer by your email provider. Stay on this - if you let it get out of hand it will equal much more work in the long run. Smart email marketing is as much a science as it is an art. Once you lay down some foundational rules you can go crazy with all your creative savvy to hit home with your message with a much greater chance of success! Following these email marketing tips will get you off to a good start. Let us know if you have a favorite tip you'd like to add! About The Author: Danny Duric is a blogger from Australia. He is blogging mostly about business and internet marketing. Did you find this article helpful? Do you have any email marketing tips to share? Please let Danny and myself know by leaving us your valued comments. 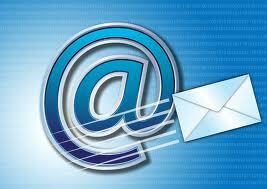 Why Choose Email As A Marketing Tool? Until my next post on Friday with an overview on blog marketing, enjoy the rest of the week! Whether you've tinkered around with the dashboard previously or even the term "Google Analytics" is new to you, mastering the basics of the platform is an essential part of making your website (and any attached businesses) a success. If that prospect intimidates you, don't let it. While Google Analytics can get quite complicated, there are more than enough intuitive features to keep you occupied until you've mastered the bigger ideas. We'll provide a good introduction here, though we recommend also taking a spin through this analytics guide for a deeper look. 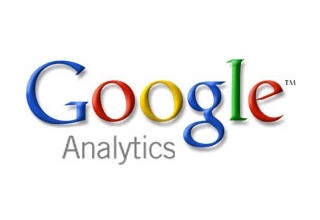 Just what is Google Analytics? Google Analytics is everything to do with statistics; specifically, the important statistics that tell you how many visits you're getting to your website, where visitors are coming from, who they are, and what they're doing on your site. Running and marketing a website without Google Analytics is a bit like racing a friend across the country without a map. Sure, you'll get there eventually (well, in theory), but you'll probably take a fair share of detours along the way. Okay, I get it. But why is it good from a marketing perspective? A better question would be how isn't it a good thing from a marketing perspective? There's little Google Analytics can't measure for you. 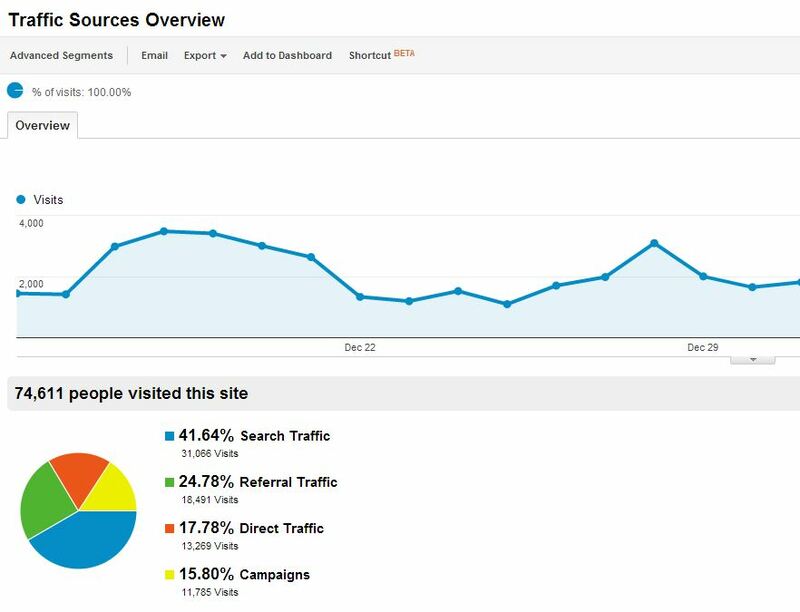 Without going into too much detail (this is a beginner's guide, after all), here are just a few things Google Analytics can do for your website marketing efforts, whether you run an ecommerce site or a blog. When you log into Google Analytics, the first place you'll land will be the Visitors Overview screen. Here you can take a look at traffic patterns, and narrow or widen the date ranges even down to a specific day - great for examining the impact of a big marketing push on a specific day, or a speaking gig at a conference. 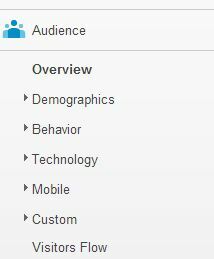 On the left hand side of the screen you'll find an "Audience" option, which will provide basic demographic data such as language and location. In fact, if you click on specific countries in the map provided, you can zoom down to the state or regional levels. Overall, this information should be a big boon for your online and in-person marketing efforts, as you'll gain a better sense of just where the most interested populations are located and how you might shape marketing language and content to them accordingly. One of the most important measures Google Analytics can provide is an overview of just where your visitors are coming from. Get a lot of visitors from Facebook? Post more to your business page. Get a lot of visitors from paid advertisements on one industry blog but not on another? Keep the one, drop the other. The more you know about how your visitors are finding you, the more strategic you can get in your campaigns. What's more, it's just a good idea to know where your visitors congregate, should you want to get creative with a different kind of campaign in that same space further down the road. To get started with this information, head again to the bar on the left hand side of the screen - specifically, to "traffic sources." Here you'll start with an overview, which provides a graph for number of visits as well as the keywords used to find your site and whether or not searchers found you through search or referral or they came to you directly. This should help you determine just how well your keyword strategy (discussed below) is working. You can then drill down further into subsets of each of these categories. If, for instance, a high percentage of your traffic was direct, what was it direct to? This will tell you a little bit more about how well your pages fit your audience. The time duration visitors spend on your page will also tell you how well you're keeping that attention. Apply the same mentality to referrals and campaigns, and you'll get the gist. One of the best things about Google Analytics as compared to other metrics sites is that determining success doesn't have to mean looking only for generated revenue. Because, after all, a new Facebook like might be a success if it garners you a new fan who buys a product from you years down the line, or even if they share a post that helps establish your reputation online. 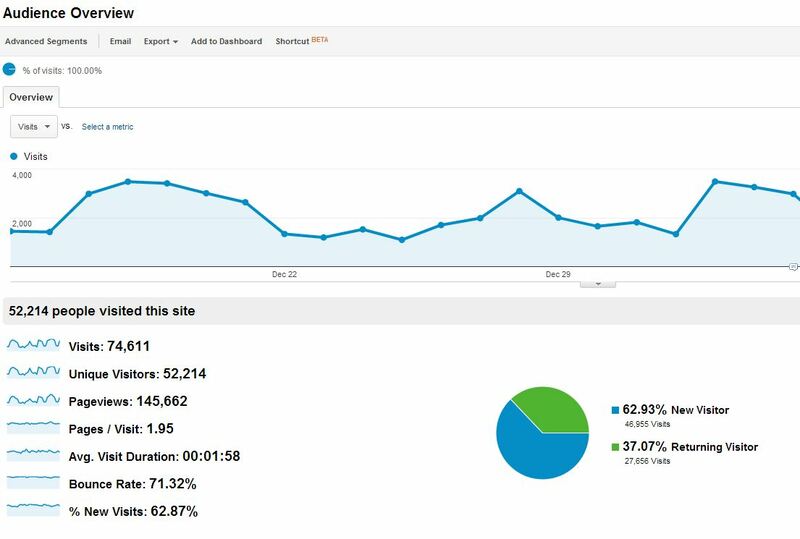 Google Analytics helps you get a much more rounded perspective across a number of reports. Measure everything from new newsletter subscriptions to contact form completions to link clicks to social media pages to events and engagements, like watching product videos or clicking through multiple pages. More detail on how to do all of these things over at the Search Engine Journal. Of course, working with Google Analytics should also mean also working hand in hand with the Google Adwords Keyword Tool. You can use this tool to search terms related to your industry or product and determine just what customers are searching. Going for terms with high search rates and low competition is key, as these factors indicate a gap between what customers need and what they're getting. You can then analyze how well each of these keywords are doing in the Google Analytics Keyword Report, which is located under the Advertising and Adwords bar. For more on how to set up a Google AdWords campaign, take a look at Google's resource page. When it comes to your webpage's content, you want to make sure that it's providing just what the users want, and that your calls to action are actually, you know, calling people to action. On the content overview page, you'll see a coherent breakdown of just what is being viewed and by how many people, as well as the average visitor time on each page. You can drill down further to see how they're getting to the most popular spaces in the first place and where they're exiting, which can provide apt insight into where your sales funnel is going wrong. Altogether, this should help you be more savvy about content creation. Setting up a Google Analytics account is easy, especially if you already work with Google products through Drive or Gmail. Simply go to Google Analytics, create an account, add the website you want to track, and voila, you'll have the basics at your fingertips. However, to do more sophisticated tracking, which is outside the bounds of this article, we highly recommend starting with this getting started checklist from Google. While you may not be an SEO master overnight, even a basic understanding of Google Analytics will vastly improve your website development, online marketing and content creation efforts. So go ahead, master those basic skills. Your website will thank you. Did you find this article helpful? Please let me know by leaving me your valued comments. Until my next post on Wednesday with top 5 smart email marketing tips, have a great week ahead! If you have an eBay store, a blog is a fantastic way to generate more traffic and more interest in your products and auctions, which could potentially lead to more sales. So how can you best use a blog to promote your eBay store? The best way to utilise a blog for promoting your eBay store is to focus on a particular niche. For example, if you sell fishing equipment through your store then focus your bog exclusively on this topic. This will give your blog more focus, and you will be able to better target the types of customers that you are looking for by writing interesting posts about your product and the niche in general. If you sell a variety of products that are not related, consider creating a blog for each niche rather than using one blog to promote all of your products. This will keep your blogs far more focused and appealing to your target customers. One of the main aims of your blog is to attract potential customers who you can then direct to your eBay store. One of the best ways to attract visitors is through the search engines, so you should optimise your posts using suitable keywords. Rather than just optimising your posts for product names, carry out keyword research for long-tail keywords and use these in your posts. In this way you can attract people to your blog who are looking for information in the search engines. Once they start reading your blog, you can direct them to your eBay store. Don't forget the main purpose of your blog: to send visitors to your eBay store. With this in mind, it is a good idea to include a "call to action" at the end of each blog post and throughout your website directing people to your store. For example, if you write a blog post about a specific product, you can end the post by linking to your auction or that product category in your eBay store so that it is easy for your readers to buy it. Starting a blog and finding readers is hard work, and you may get more success by linking your blog up with your social media accounts. 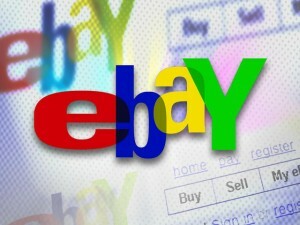 A lot of eBay auctions are quite immediate, and people are looking for a particular product at a particular moment. When you write a blog post about a product, tweet about it as well because this may attract attention from people who are looking for that particular product at that moment. Once you have built up followers on Twitter and Facebook, you may find that they start to share your posts, which can send more traffic to your blog and generate more interest in your auctions. Getting traffic to your blog is the hard part, so don't waste that traffic by failing to capture the email addresses of your visitors. If your visitors are interested enough to sign up to your email list, they are high-value targets and you can target them with special offers and time-sensitive information such as the imminent launch of a new auction for an interesting product. Launching your own blog is an excellent way to market your eBay store, and the best thing of all is that it is very easy to get started. Check out WordPress.org if you are unsure where to start. Once you have bought some hosting you can get your own blog up and running in hours. You could even launch a blog on Blogger or WordPress.com for free, so this is also worth considering. Then just work hard and publish regularly, and you could start to generate more interest in your eBay auctions. MyParcelDelivery.com - a UK based parcel delivery service specialising in affordable courier services for eBay sellers. Did you find this article helpful? What other methods do you use to promote your eBay store? Please let Amy and myself know by leaving us your valued comments. Until my next post, have a wonderful and relaxing weekend! Have you ever heard of people making money online? I have to say that when I first heard that I thought that it could be possible, but that money online was reserved for those big companies like eBay or Amazon. It was until a few months later that I learned that these internet corporations are not only earning great money, but also they are willing to share it with the average person like you and me if we simply help them to make a sale. My name is Jose Lozano and I am an affiliate working with RC flying toys such as the F18 RC jet plane. I want to share with you how the affiliate marketing business can sky rocket your success and get you as high as the original version of the jet that I just mentioned. Affiliate marketing is awesome; those who are current affiliates know that the power of this business relies in the fact that it drives passive income to your pocket, and even when the average commission is around 4% to 6%, this business allows you to earn that single commission multiple times a day. There are people in this business who make 5 sales a day, and there are other people who make 150 sales a day; if they sell a product that costs 100 Dollars, just do the maths and you will know that those are 20 to 600 Dollars a day; you may think that I am exaggerating here but the sweet reality is that I am not. The opportunity on the affiliate marketing business is growing faster and faster each year, and the numbers of affiliates who are becoming super affiliates (those who make a lot of sales) are going up as well. It is not rare to know about someone who is making a healthy income from the internet these days, and the good news are that these guys are the average people; the skills that are required to run a business like these are not many and actually you don't have to go to college to learn how to make money online. This is a very important thing to explore, everything in life is a risk, and it is fair that you know what the downside of this business is. There are some challenges that you may face in order to make your online business a success story; I would like to give you some details about two of the major ones that I found when I first started, as well as my own advice to overcome these obstacles. 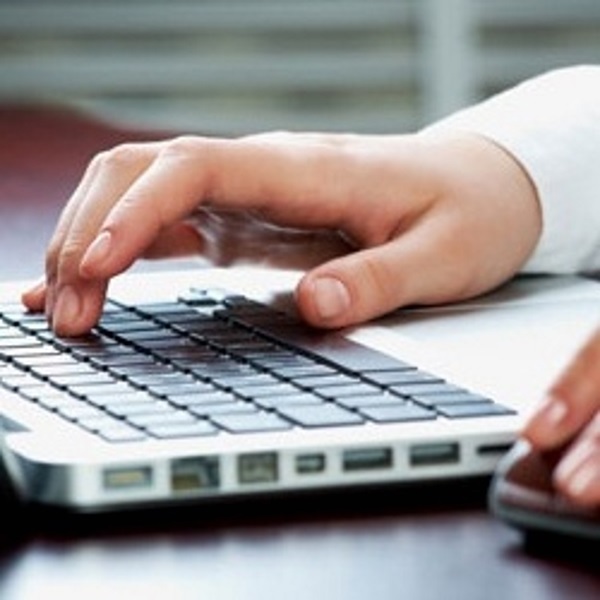 - What skills are required to run an online business? - How long does it take to make money online? - How long would it take to replace my current income? These are all great questions with a simple answer: it depends; the skills that you need to run an online business depend on the type of business that you want to run, don't worry for the technical side; that is the last thing you have to think about unless you want to run a website about technical skills. About the money questions, it will depend on how good you are to apply the key formula to achieve success as an affiliate. I will share this formula with you in a moment so keep reading. The "Get Rich Quick" solution: Some people make money online by cheating others about this whole idea of "Making Money Online", they sell junk products with the promise that your business will run on autopilot, and that one day magically you will wake up and see your bank account full of money. The truth is that this business is like any other business and it requires work in order to reap the benefits. Ask this to any serious affiliate and they will tell you the same thing, so don't fall into those scams that will only slow your way to success. Let's keep it simple here. Imagine a store where lots of good and high quality products are offered to the public, this business is nice, looks good, smells well, is in the best location and the prices are very low; this amazingly assembled store could be your website, well designed, with the best software, best products and the best content for everyone; but none of that will make you money if no one is visiting your store, you need people getting in so you can make sales; on the internet this is known as traffic. Now imagine that you have a lot of traffic, people is visiting your website constantly and now you are full of men and women watching your content and reviewing your products, but that doesn't make you money either, you need that the people who is visiting your site is actually interested in the products you offer, otherwise you won't make any sales and you will have no money. When a sale is made that is called conversion. In order to have conversion you have to have traffic first, then you can start measuring your traffic versus your conversion and make adjustments to increase conversions. Some of the scams that are offered on the internet to help you make money are traffic based, and they promise to send you tons of traffic to your site or offer so you can convert, but think about it for a second and you will see that you need targeted traffic, and that targeted traffic is the one that actually converts. Targeted traffic means to have people on your site that is actually looking for the products you offer. My recommendation in order to learn how to get traffic and increase your conversions is to find a mentor, learn from people who are actually earning a living out of the internet, understand that making money online is easy and fast if you do the right work, it can be one of the bests experiences you have in your life. Remember this: You will be paid in direct proportion to the value you deliver according to the marketplace. That is known as the law of income, and it is shared by a very rich gentleman and coach by the name of T. Harv Eker, so you want to make sure you deliver value to your targeted audience through your affiliate marketing business. What other risks can you identify about this business? If you are an affiliate, what other tips can you share with us? To your Online Success! About The Author: Jose Lozano is a Successful Online Publisher and an Affiliate Marketer as well. Jose learned a lot about affiliate marketing and now he shares his knowledge with other affiliates as well. Jose belongs to a network of affiliates where some of the senior members have more than a decade of experience as affiliates. Follow Jose on twitter @RCHobbiesonAir. Did you find this article helpful? 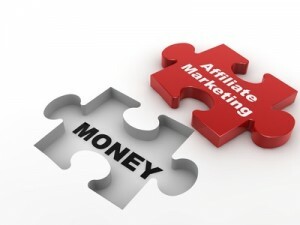 Do you have any affiliate marketing tips to share? Please let Jose and myself know by leaving us your valued comments. Until my next post on Friday, enjoy the rest of the week! Often, as an entrepreneur or a small business owner, your time and resources are spread so thin, that marketing your product comes almost as an afterthought. But, a successful marketing strategy can make or break a start-up. While in the past, a well-designed marketing campaign could cost thousands of dollars and require a good deal of manpower, today, it's easier than ever to promote your business effectively. Even if you have zero marketing budget, you can utilize this secret weapon for attracting an audience and gaining exposure for your brand. It comes down to this: Give your secrets away for free. It might sound counterintuitive to share the intricacies behind your business but it is an effective way to bring in customers and attract attention. Think about what you're good at. How does your business operate? How is what you do different from your competitors? What sets you apart? Now, write about that. Create a thorough, well-written step-by-step guide that essentially teaches others how you do what you do. Not only will this work as a marketing strategy and bring in business, it can help you down the line. 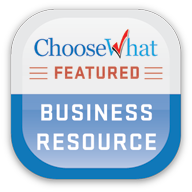 By creating a comprehensive teaching tool, you can use it to improve your business plan too. Generally speaking, no one will care what you have to say until you demonstrate your expertise. This guide gives you the chance to show your skills. Next, you can submit your trade secrets to relevant industry blogs and become known in your field. Take advantage of sites like Blogger LinkUp and HARO to reach out to bloggers and website administrators and offer to guest post for them. You gain exposure for your brand and again, establish yourself as an expert. Finally, as you build buzz, tell your story. Online Trading Academy, a financial and day trader education company based outside Los Angeles found that gathering customer testimonials was a great way to spark interest in their services and gain exposure. For every satisfied customer testimonial video they made, they found social media engagement increased and there was a spike in potential clients. Customers liked talking about their experiences with the company, and sharing some of the financial knowledge they had gained helped illustrate the effectiveness of the Online Trading Academy business model. It is a win/win situation. While you might be concerned about people using your ideas against you, you'll find that most people are too lazy to implement your strategies themselves. Instead, they will turn to you for help and guidance and that's where you gain a customer. Ultimately, marketing does not have to be expensive if you're savvy and willing to put in the time and effort it requires. Go the extra mile, create high quality, useful content, and people will start to take notice! Did you find this article helpful? 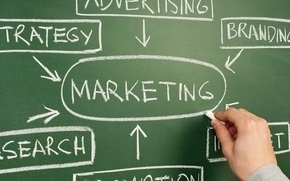 Do you have any zero budget marketing strategies to share? Please let me know by leaving me your valued comments. Until my next post on Wednesday on the key formula that makes an affiliate marketing business successful, have a great and productive week ahead! How Does Keyword Research Work? 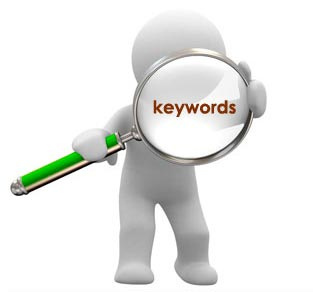 Keyword research is a vital component of the online marketing process. It can make a difference between your site being visible and attracting plenty of visitors or languishing on back pages without ever being seen. Keywords should be specific words or phrases that reflect your business and the sort of expressions that your prospective customer will tap into the search engine in order to find what he or she wants. When you are considering online marketing, it is crucial that you use the correct keywords. It is the first step to effective search engine optimisation but it also taps into older marketing principles of attracting the customers you want to your site. Good keyword research will reflect the type of customers you are looking for and use the same language, as they are likely to use themselves. It has to be relevant to your customers. On a basic level you may use terms like "cheap florist Birmingham" for example - if you are a florist aiming at all sections of the market and want to pick up local trade because this is exactly the sort of search enquiry that your customers will use in order to find you. Similarly "buy flowers Birmingham" or "Birmingham florist" but this is only part of the story because as well as these basic advertising principles, you have to consider the way that the search engines work behind the scenes. Online marketing has to work with the software that lays behind the major search engines such as Google. There are three types of software that manage the search engine and because this is a non-human function, these "search robots" will not grade websites by quality or interest. Understanding how the Search Engines work is essential for getting your site at the top of the list. Good online marketing works with the Search robots as well as your customers. In simple terms, the spider software crawls the web looking for new content. It is interested in links and text but disregards images or flash content. For example, your online marketing expert will ensure that your images all come with keyword friendly text so that the spider software will recognise and consequently value images as highly as text. The index software examines the text and is an algorithm that tries to make sense of content in order to deliver the most relevant websites to people who are searching. This means that it is essential that your site keeps on topic and does not divert attention away from your main objectives. Online marketing identifies the correct and most relevant keywords while providing original text, ensuring that the index software registers your site content as best for enquiries. The query software deals with the part of the process that is visible. As your customers tap in their query, the search engine will endeavour to provide the best most relevant site. This will be ranked on text, links and relevance. The online marketplace is highly competitive so it is essential that your website is as water tight and relevant as possible so that it stands out above others. Good keyword research is a major factor in online marketing and one of the ways that you can keep ahead of the competition. Until my next post on Monday, have a fabulous weekend! Who knew that dropping a comment under a post would actually give you recognition? Well this can only happen when you comment on what is within your niche and have a well written statement. Stop writing some things like "good one" or "I totally agree" from now on make sure you write something of greater value and this way your comment will be categorized under comment marketing. This is all very beneficial. You may be wondering what marketing with comments is. This article will fill you in on some insight. This is a technique which is used to drive traffic and ensure that there is constant building up of your online presence. Having loads of traffic streaming into your website is very important for you. When you actually leave beneficial remarks on other blogs you make this possible. This is what comment marketing is basically about in brief. Be an authority: What does it mean to be an authority in anything? This means you become a professional or a don of whatever you are doing. This means that you know what you are talking about whenever you place a comment and by doing so; others will recognize that you have a niche and know it well. How then will you make this happen? You will have to drop fine, well thought-out comments that will add value to the discussion. Make sure that every comment counts if you want to put your name out there. You will certainly get the attention of those who are keen and interested in whatever goes into your niche. You will hold amazing discussions with those people and this will certainly put you up there on the ranks. Attention: When you are aiming for comment marketing, what you really want is to catch the eye of the blogger right? You only leave comments on blogs when the content is very important to you otherwise you wouldn't do it all together. When you leave a comment that actually adds worth to the rest of the conversation you will be doing it the right way. There are two ways you can do this, you can both agree with what the blog is addressing and add your own similar view on the subject or you could take up another angle which is highly recommended because creating controversy really builds up a good debate. When you build up a heated debate you will certainly get the attention of many. Network: With the above points, it is clear that you will certainly be connected with the blogger and other influential people commenting as well. How great it would be if you got recognized by someone famous whose blog appeals to you. About The Author: Jems Holden is a blogger/writer by profession! Currently he is associated with a Manchester web design agency, Sizzle Media as Web Content Writer. Did you find this article helpful? 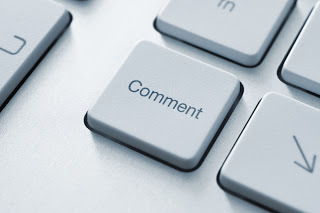 Do you use comment marketing to drive traffic to your site/increase your online presence? Please let Jems and myself know by leaving us your valued comments. Until my next post on Friday on keyword research, enjoy the rest of the week! Social media is the in thing today. While many companies have been using social media as an effective tool for online marketing, many were not familiar with the idea and hence, have not been using them for online marketing efforts. Social media sites like Facebook and Twitter have been used for long as platforms for getting across to friends and family members, colleagues and acquaintances spread across the world. Today, one can find out long lost friends and colleagues with the help of such sites as most of the world is registered in any of these two sites. 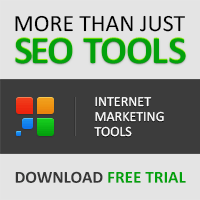 But as an online marketing tool? That is how the companies are making money through these sites and paying a lump sum to them as well. While many companies post paid ads on such social media sites, treating them as any other website that gets high online traffic, there are many ways of reaching one's target audience through these sites for free. When you set about selling a product or service, the first part of your marketing campaign needs to focus on creating awareness. And how do you do that? Start with the base of people that you know. Paste a link on the Facebook page of your profile and let your family members and friends see what you are selling or trying to promote. Again, you could form a different account on these sites especially for the brand that you are trying to promote in order to separate the business from the personal front. There is an option to form groups or communities in the social media sites. Thus, one can create a separate account for an event, product or service and then seek participation or inform those who are likely to be interested in such a page. You can then ask them to promote the link of your brand on their social media sites so that their friends and acquaintances get to know about it. In such a way, one can build on their followers and audience. Those who are interested in the brand, products, service, event or idea will seek out queries and actively participate in the updates and events that are posted. One needs to zero in on the target audience in such a way. There are many marketing tools and techniques by which one can estimate how many of the followers on social media sites like Facebook and Twitter are ultimately landing up at your official site or are finally making a purchase, taking up a service, attending an event and so forth. 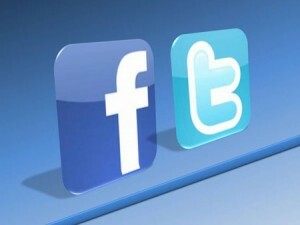 The conversion rate will help one to understand the effectiveness of the social media marketing tool. There are even ways of making the response even better and increasing the size of target audience. About The Author: Matt Anton is the author of this piece and one will find several of his articles on related finance topics written for websites like paymentsavvy.com. Did you like this article? Please let me know by leaving me your valued comments. Social Media Marketing: Are You Effective Or Obnoxious? Until my next post on Wednesday on how comment marketing will benefit your online rating, have a fabulous week! Freelancing comes with many benefits, which to many, makes it a very interesting and appealing career prospect. However, it often means working long hours because of the added administration tasks that are usually outside of your professional remit. The use of a computer usually allows you to automate many of the mundane tasks that eat in to your time and with the increase in online tools designed to attract the professional, we have become inundated with options. It helps to know which tools will help you save the most time and money and are easy to set up and use with minimal time and effort. Each of these tools applies itself to making your day-to-day tasks easier to accommodate. This is a great email-to-fax tool that saves having to write a fax, print it out and then wait while your fax machine to send it through to your corporate dinosaur clients who insist on signing work off in hardcopy format. Instead, just fax straight from your email. If you need a website, but have no idea about coding and don't want to pay someone to create an online presence, SiteKreator allows you to customise hundreds of designs to create a bespoke website that is a professional work of art. Adding text and graphics is easy and it saves you the time of getting to grips with the most popular ways of handling your online content such as ftp or WordPress. This handy conferencing software allows you to set up virtual meetings, webinars or training sessions with clients or potential customers. Now you can showcase your freelancing skills to numerous customers from the comfort of your office without the need to create elaborate seminars. This is ideal for developers who would usually need to visit clients on-site for training days. This is one of the best tools for collaboration across multiple teams and with numerous freelancers. The online project management software provides information to stakeholders and project teams at every stage of the operation and it even offers time monitoring for billing purposes. This software removes the need for project meetings and minimised contact as much of the information is shared through the suite of online tools. This accounting software is a one-stop shop for freelancers through to SMEs with payroll requirements. QuickBooks Online offers several levels of accounting so freelancers never pay for anything unnecessary and the real-time updating of accounts enables you to know instantly the status of your business. Many of the hours we spend outside of our remit is on invoicing and this is why QuickBooks Online is worth every penny especially as it is cheaper than a traditional accountant. If your work demands you spend a lot of time using the Internet, you can use a Chrome browser plugin called Stayfocusd to limit the amount of time you can spend on distracting sites each day. You can set up your own list and the amount of time you allow yourself for some personal surfing. This plugin undoubtedly increases productivity when distraction is your worst enemy. LastPass is a secure password storage and form filler that has plugins for all of the most popular browsers. Admittedly, those of us who use Google Sync already have this built in, but it is helpful when you don't want to sync work data with your personal profile and of course, you can use it with all browsers not just chrome. This is an amazing tool for web developers who will test their coding in multiple browsers. About The Author: JonJon Yeung is a freelance writer where he provides great tips for small businesses. Did you find this article helpful? Please let JonJon and myself know by leaving us your valued comments. Until my next post on Monday on how Facebook and Twitter can help you reach your target audience, have a wonderful and relaxing weekend!